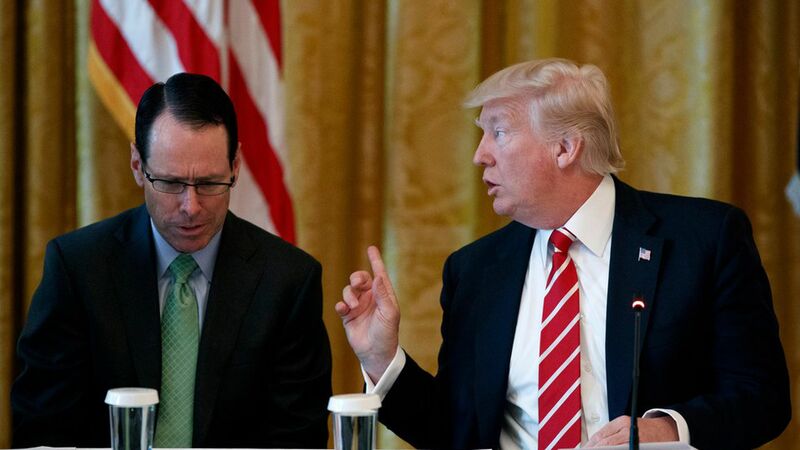 Randall Stephenson, the chairman and CEO of AT&T, told attendees at a Business Roundtable discussion on tax reform that it would be a "bad indictment" of the Republican Party if they couldn't pass significant reform while controlling both Congress and the White House. The key message: The heads of five massive American companies — Boeing, Lockheed Martin, UPS, AT&T, and EY — all took part in the discussion, stressing that U.S. companies could not remain competitive globally without lowering the corporate tax rate to the 20-25% range. Huge growth with reform: Stephenson also laid out what he views as the benefits of a lower corporate tax rate, saying, "It's inconceivable to me that [GDP growth] could be anything less than 3%…We can't find anything below 3% if you get to a 20-25% tax rate." What to tell Trump: Dennis Muilenburg, president and CEO of Boeing, would tell POTUS: "Keep this at the top of the priority list…The one enabler for the American economy — the one catalyst that can really unleash economic growth — is tax reform." The consequences of the current system: Mark Weinberger, global chairman and CEO of EY, laid out the problems faced by corporate leaders under the current tax system: "If we had a 20% tax rate, there would have been 5,000 businesses that stayed onshore that moved offshore…No CEO wakes up in the morning and says I'm gonna move all of my employees overseas. That's a last ditch effort." The bigger picture: Marillyn Hewson, the chairman, president, and CEO of Lockheed Martin, also views tax reform as rippling out to other key U.S. issues, saying, "If we are facing competition around the world that doesn't allow businesses to invest in [Lockheed Martin's] technology, that's going to hurt our national security, so I think tax reform is a national security issue as well." What else can be done: David Abney, the chairman and CEO of UPS, thinks that there's no other option but to press ahead with some sort of tax reform: "There are a lot of alternatives out there, but probably the worst one is status quo."